Virtual Business Support Services wants to deliver the best possible service. In order to do this we understand that we have to have a solid and reliable foundation on which our service can be built. We attribute this to four key aspects. That’s why we have everything in place to ensure a seamless process between you and us. No business has the time for technology to fail so we use the highest spec hardware. All documents are securely stored in the cloud with internet back up. We also have access to IT support for both clients and us, when something just doesn’t seem to be working. We appreciate how critical your business and customer data is to you. Therefore we have ensured that we are compliant with the Data Protection Act 2018 which is the UK's implementation of the General Data Protection Regulation (GDPR) that came into effect on the 25th May 2018. In addition to this, during our primary discussions for each piece of work we will review the data security requirements and build them in. We have membership with the Society of Virtual Assistants (SVA). The society promotes the highest standards from their members and provides users with a resource base to share information, advice and new ways of working. This ensures that we are always at the cutting edge of Virtual Assistant practices. We work to make sure that we cover all bases, ensuring security and efficiency for all work that we undertake. 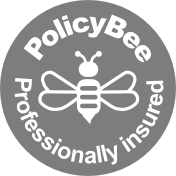 To further protect both you and us we have invested in Public Liability Cover and Professional Indemnity Cover. We want you to feel assured that we are working to maximise your day without putting your business at risk.